IAF asserted that it had shot down an F-16 aircraft of Pakistan Air Force on February 27 during aerial combat. 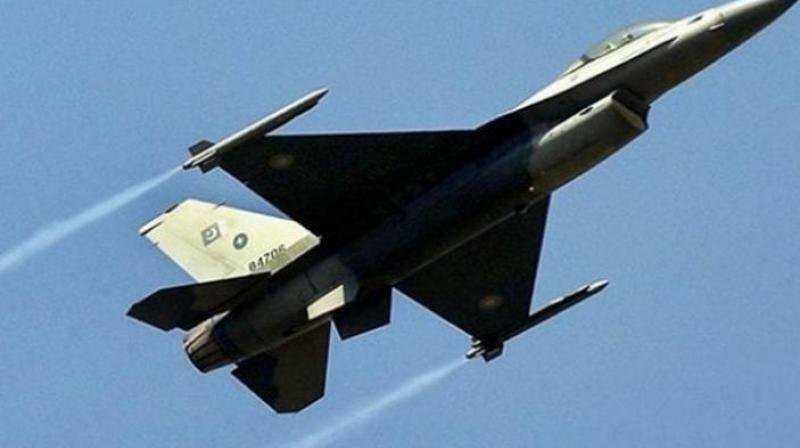 New Delhi/Washington : A US count of Pakistan's F-16 fighter jets has found that none of them are missing, contradicting India's claim that one of its war planes downed a Pakistani F-16 during an aerial dogfight on February 27, a leading American magazine reported, even as the IAF on Friday stuck to its stand and said it had conclusive proof. Two senior US defense officials with direct knowledge of the situation told the Foreign Policy magazine that American personnel recently counted Islamabad's F-16s and found none of the planes missing. "The findings directly contradict the account of Indian Air Force officials, who said that Wing Commander Abhinandan Varthaman managed to shoot down a Pakistani F-16 before his own plane was downed by a Pakistani missile," the report said Thursday. "It is possible that in the heat of combat, Varthaman, flying a vintage MiG-21 Bison, got a lock on the Pakistani F-16, fired, and genuinely believed he scored a hit," the report said. Reacting to the report, The Indian Air Force Friday asserted that it had shot down an F-16 aircraft of the Pakistan Air Force on February 27 during aerial combat. In a statement in New Delhi, the IAF said, "during the aerial engagement, one MiG 21 Bison of the IAF shot down an F-16 in Nowshera sector." IAF sources also said it has conclusive "circumstantial evidence" including wireless intercepts, signals and graphic captures from airborne warning and control system (AWACS) and electronic signatures to conclude that the F-16 jet was shot down during the aerial combat. Sources said electronic signals from the F-16 aircraft which was engaged by an Mig 21 Bison ended abruptly, confirming that it crashed after being hit. IAF sources said radio intercepts showed that two pilots had ejected after the aerial engagement and one of them was admitted to a Pakistani hospital. When the incident occurred, India asked the US government to investigate whether Pakistan's use of the F-16 against India violated the terms of the foreign military sale agreements. The IAF on February 28 displayed pieces of the AMRAAM missile, fired by a Pakistani F-16, as evidence to "conclusively" prove that Pakistan deployed US-manufactured F-16 fighter jets during an aerial raid targeting Indian military installations in Kashmir. In Islamabad, the Pakistani military Friday called on India to "speak the truth" about the "actual losses" in an aerial dogfight between the air forces of the two countries. Pakistan military spokesperson Major General Asif Ghafoor said it was time India came clean on "false claims", including the second aircraft shot down by Pakistan. "Truth always prevails. Time for India to speak truth about false claims and actual losses on their side including the second aircraft shot down by Pakistan," Ghafoor said. Ghafoor in another tweet claimed that heads of all four missiles of downed IAF MiG 21 were recovered intact from its debris. “IAF claim of hitting F-16 by their MiG 21 before having been shot down by PAF gets exposed. All 4 missile seeker heads recovered intact from the wreckage & held. Pakistan and its professional Armed Forces staying humble by not drum beating. We have more truth on this to share,” he tweeted. He also shared a photograph claiming missile heads. According to the Foreign Policy magazine, Pakistan invited the US to physically count its F-16 planes after the incident as part of an end-user agreement signed when the foreign military sale was finalised. Some of the aircraft were not immediately available for inspection due to the conflict, so it took US personnel several weeks to account for all of the jets, one US official said. But now the count has been completed, and "all aircraft were present and accounted for," the official said. The count of the F-16 fighter planes in Pakistan has been completed, and "all aircraft were present and accounted for," an unnamed defence official was quoted as saying by the report. The US Department of Defence did not immediately respond to a question on its count of F-16 fighter jets in Pakistan. The US State Department and the Indian and Pakistani embassies declined to comment, the report said. Pakistan had categorically said that no F-16 fighter jets were used and denied that one of its planes had been downed by the IAF. But on April 1, Pakistan military spokesman Ghafoor for the first time indicated that F-16s might have been used to hit Indian fighter jets during the aerial combat on February 27. In a statement, he said Pakistan had the right to use "anything and everything" in its self defence. The report said the remnants of a US-made AIM-120 air-to-air missile was found near the site; out of all the aircraft involved, only the F-16 can shoot such a weapon. Tensions between India and Pakistan escalated after a suicide bomber of Pakistan-based Jaish-e-Mohammed (JeM) terror group killed 40 CRPF personnel in Jammu and Kashmir's Pulwama district on February 14.